In physics or chemistry (or quantum chemistry) an atomic nucleus – or just nucleus, for short – is a bound state of protons and neutrons. If this in turn is surrounded by a shell of electrons the result is an atom, with the nucleus at its core. The study of nuclei is the topic of nuclear physics. 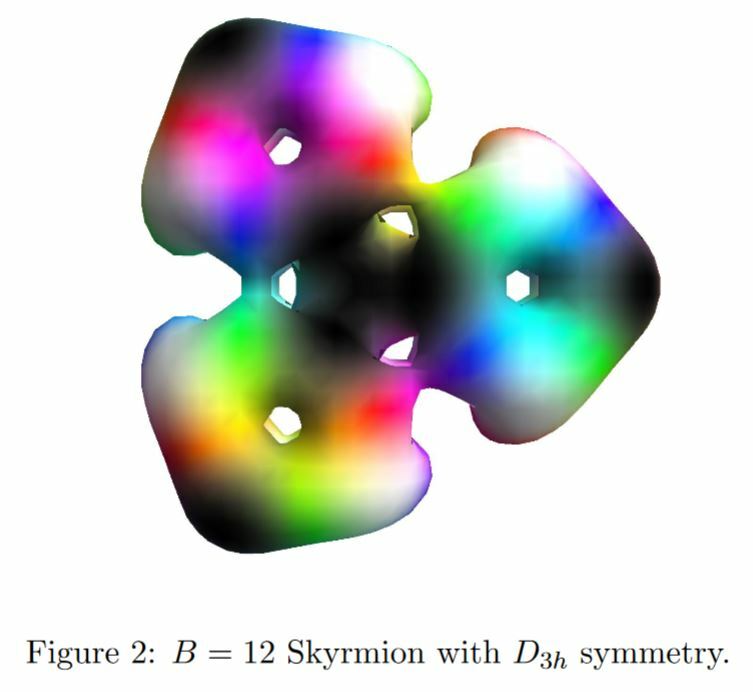 Candidate models for baryons and even some aspects of atomic nuclei are Skyrmions (Riska 93, Battye-Manton-Sutcliffe 10, Manton 16, Naya-Sutcliffe 18). Last revised on January 24, 2019 at 08:04:15. See the history of this page for a list of all contributions to it.